MMA Joinery completed the last construction phase of this contract, and was brought on board to ensure that the contract was completed on time. 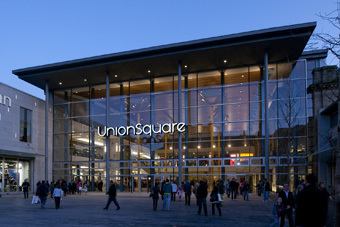 Positioned at the railway station, Union Square provides a new station for Aberdeen, integrated into the new shopping mall. The project provides 250,000sqft of retail and catering, a 110,000sqft department store, a multiplex cinema and 1,200 parking spaces. 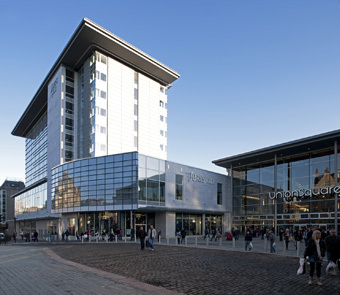 Union Square achieved a Gold Award in the Considerate Constructors Scheme. We value our employees and strive to achieve a satisfied and healthy workforce. We continue to invest in the education and training of our people and ensure they are fully equipped with the tools to realise their potential and continue to achieve excellence.